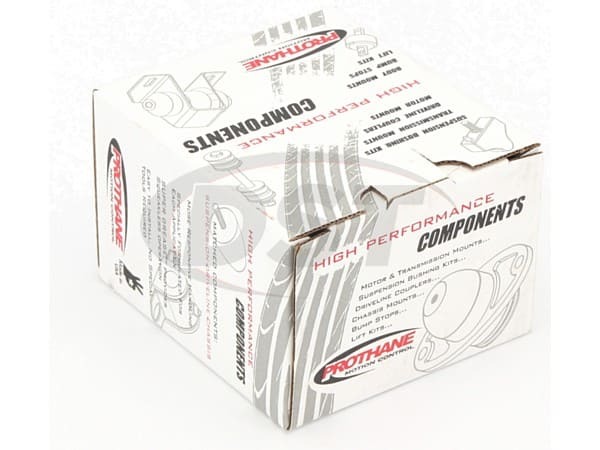 The Front Control Arms are covered by Prothane kit 7-211. 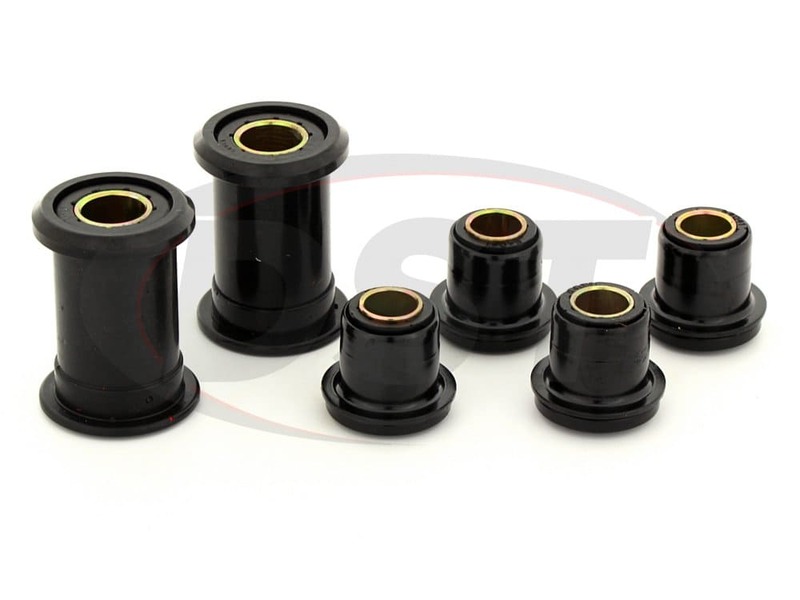 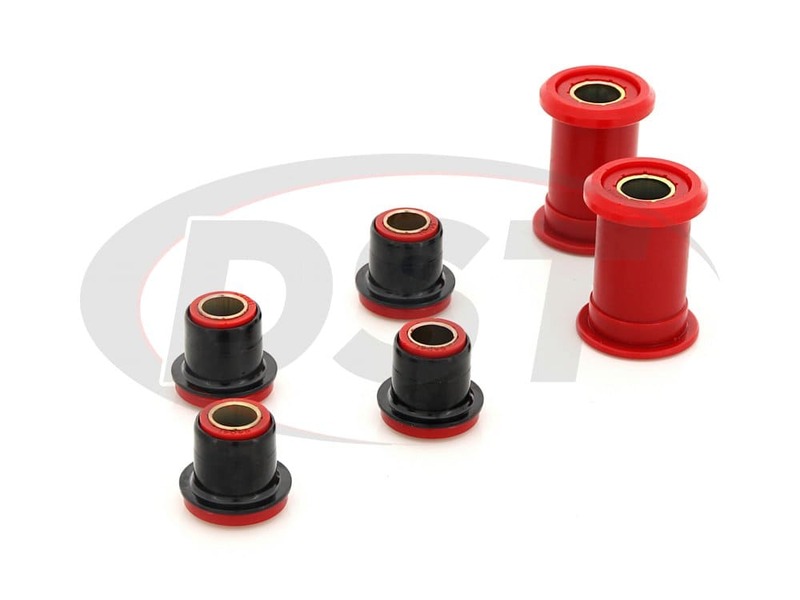 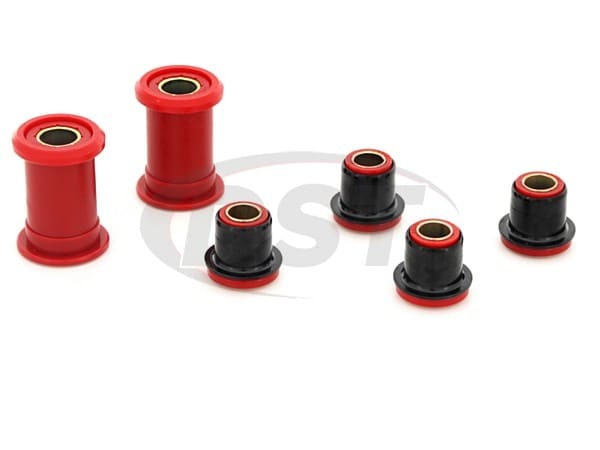 This kit comes with a lower bushing for each side with a new steel inner sleeve. 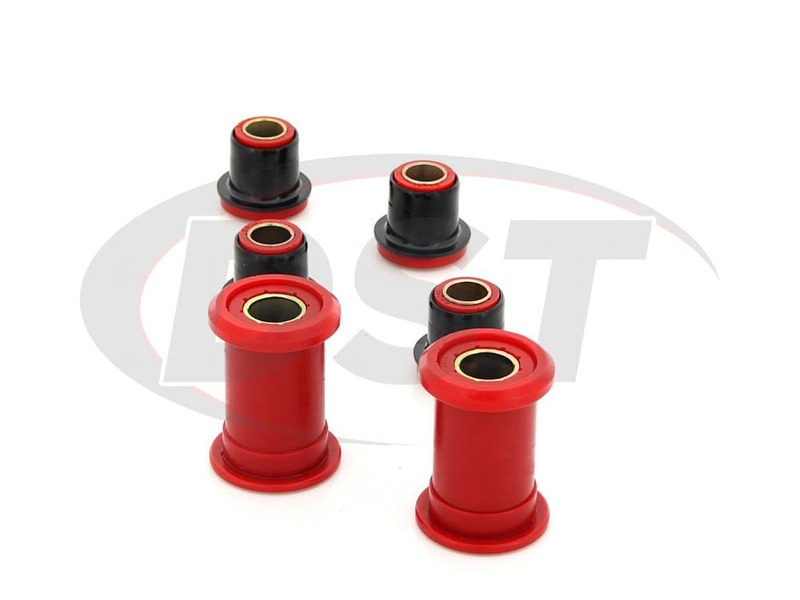 For the upper arms, there is a pair of bushings for each side with new steel inners and outer metal sleeves. 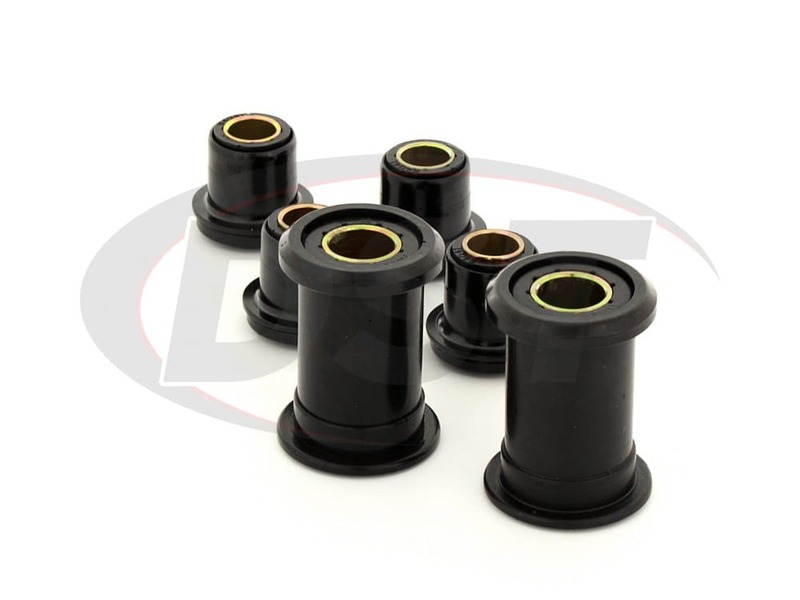 These inner sleeves are designed to match your OE bolt size. 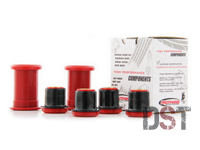 Also included is a pair of thrust washers to complete the installation.